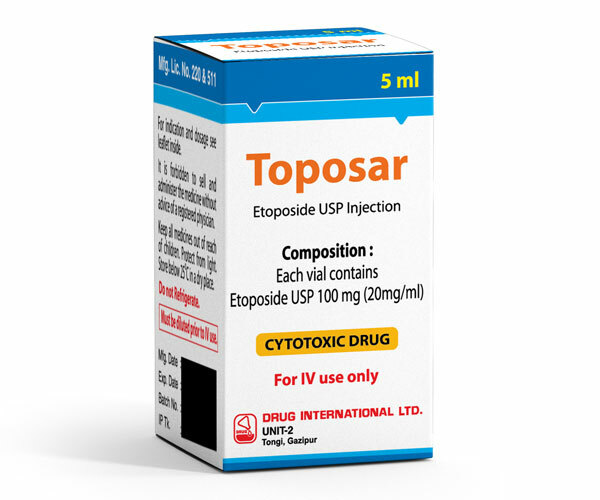 Composition : Toposar : Each 5 ml lnjectable solution contains Etoposide USP 100mg. 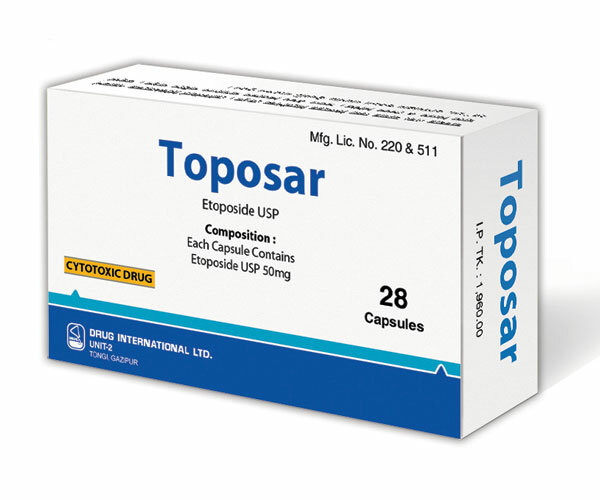 Use in pregnancy and lactation : Pregnancy category D.There are no adequate and well controlled studies in pregnant woman Etoposide has been reported to be found in human milk. Patient recieves Etoposide should not be breast feed.